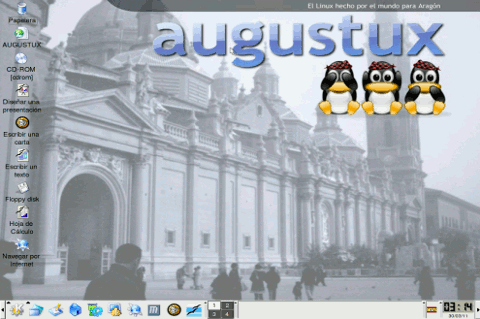 Augustux was a live Linux distribution based on Debian GNU/Linux and KNOPPIX. It has full support for the Aragonese language. Rate this project The ExTiX project has released a new version of their Ubuntu-based distribution. The new version, ExTiX 16.2, features the KDE desktop and is based on packages from Debian's development branches and Ubuntu 16.04 LTS. "ExTiX 16.2 KDE DVD 64-bit is based on Debian 8.4 Jessie/Debian 9 Stretch and Ubuntu 16.04. The original system includes the desktop environment Unity (Ubuntu). After removing Unity I have installed KDE Frameworks 5.15.0 with KDE 4.15. KDE Frameworks are 60 addon libraries to Qt which provide a wide variety of commonly needed functionality in mature, peer reviewed and well tested libraries with friendly licensing terms." The new version ships with an updated Linux kernel. Additional information on ExTiX 16.2 can be found in the project's release announcement. Download (MD5): extix-64bit-16.2-kde-isoh-1800mb-160508.iso (1,852MB, pkglist). 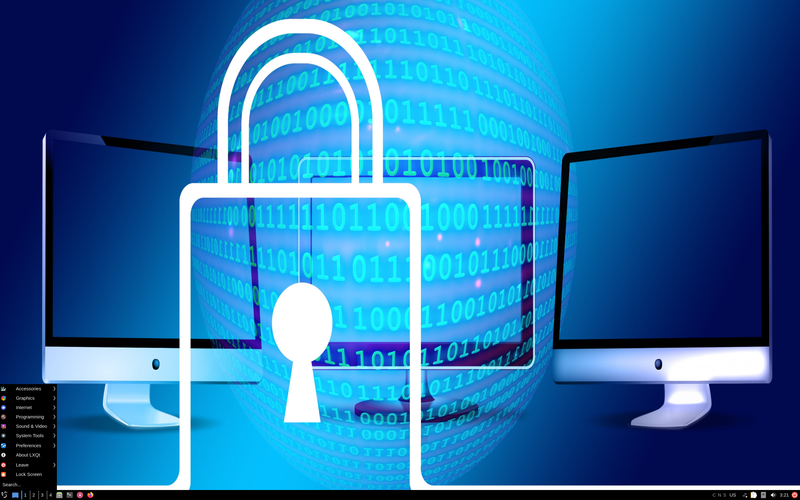 The ExTiX project provides an Ubuntu-based distribution which features alternative desktop environments and applications. The project's latest release is ExTix 18.7 which features the LXQt desktop instead of Ubuntu's default GNOME environment. "ExTiX 18.7 LXQt DVD 64-bit is based on Debian 9 Stretch and Ubuntu 18.04 'Bionic Beaver'. The original system includes the desktop environment GNOME. After removing GNOME I have installed LXQt 0.12.0. LXQt is the Qt port and the upcoming version of LXDE, the Lightweight Desktop Environment. It is the product of the merge between the LXDE-Qt and the Razor-qt projects: A lightweight, modular, blazing-fast and user-friendly desktop environment. The system language is English. My special kernel corresponds to kernel.org's unstable kernel 4.18-rc5. Firefox has replaced Google Chrome as web browser. It's now possible to watch Netflix movies also in Firefox (while running Linux). I have replaced Ubuntu's Ubiquity with the Calamares installer. Calamares is an installer framework. By design it is very customizable in order to satisfy a wide variety of needs and use cases." Additional details can be found in the project's release announcement. Download (MD5): extix-18.7-64bit-lxqt-refracta-calamares-1580mb-180723.iso (1,580MB, pkglist).